In today’s world identity is something we value. In the west self-determination of individual identity is often seen as particularly important. And that identity has many facets. This year the BBC annual Reith lectures are given by philosopher Kwame Anthony Appiah, with the overall title Mistaken Identities. The first of those lectures, broadcast last week, looked at the topic of religious identity or creed. You can listen to the broadcast here, and read the full transcript here. In his lecture Appiah highlighted a few things that I felt would be interesting to examine in a Mormon context. “There’s a reason why we refer to religious identities with words like “faith,” “confession,” or, indeed, “credo,” from the Latin word for “I believe.” It’s that we’ve been taught to think of religion principally as a matter of beliefs. “Now I want to argue that this simple idea is deeply misleading, in ways that can make understanding between religions seem both harder and easier than it really is. I want to persuade you that religion is not, in the first instance, a matter of belief. Appiah suggests that there three things that make up religious identity: belief (or faith), practice, and community, and that belief should be the least of these. It is the practices that bind the community. It’s when too much emphasis is placed on belief, and on members of a community to believe a certain way, that problems arise; when accusations are flung that particular groups are not proper Christians, or proper Muslims for example. He raises the problems of fundamentalism. It can sometimes feel as though Mormonism has a strong fundamentalist streak. What makes a proper Mormon, for example? But we also have the concept of continuing revelation. “If we distort the nature of religious identity by a fixation on faith, this fallacy is entwined with another: that I’ll call scriptural determinism. Often, we’re told that our religious beliefs repose in our sacred texts — so that to be a believer is to believe what’s in the scriptures. As if one could decant from them, like wine from a pitcher, the unchanging nature of a religion and its adherents. “To evaluate claims like these, it helps to recall what scriptures are actually like. So let me take, more or less at random, a passage near the beginning of Isaiah. See if you can understand it. It isn’t only interpretation scriptural canon we have to grapple with, but also interpretation of statements made by leaders throughout the history of a religion. For us, as much as for those who follow Islam, Judaism or any other faith. All of those things have their contexts. Appiah gives examples of scriptural passages that religions now interpret differently, ignore, or consider irrelevant in our current context; in other words, change. Mormonism has certainly changed: the abandonment of polygamy by the LDS church or 1978 priesthood and temple ban changes being the most obvious. Appiah also suggests that the things we decide are important say more about us than they do about our scripture. We choose to read into and interpret scripture in ways that support our views and to ignore or read past scripture elsewhere that might otherwise have been used to support a different view. Scripture does not give one story. This is, I think, where liberals and conservative Mormons clash. Differing priorities lead us to read into and past different things. That and perhaps a distaste for what support of the opposing view might say about us. One man’s apostasy is another’s continuing revelation perhaps! I’d recommend either listening to, or reading the lecture in full. How do you see the balance of belief, practice and community in Mormonism? Do you agree with Appiah that belief is overemphasised today? What you you choose to emphasise, if anything? How do you see the interactions of fundamentalism and continuing revelation in Mormonism? Do you agree with Appiah that scripture is open to interpretation and that this is a feature not a bug? 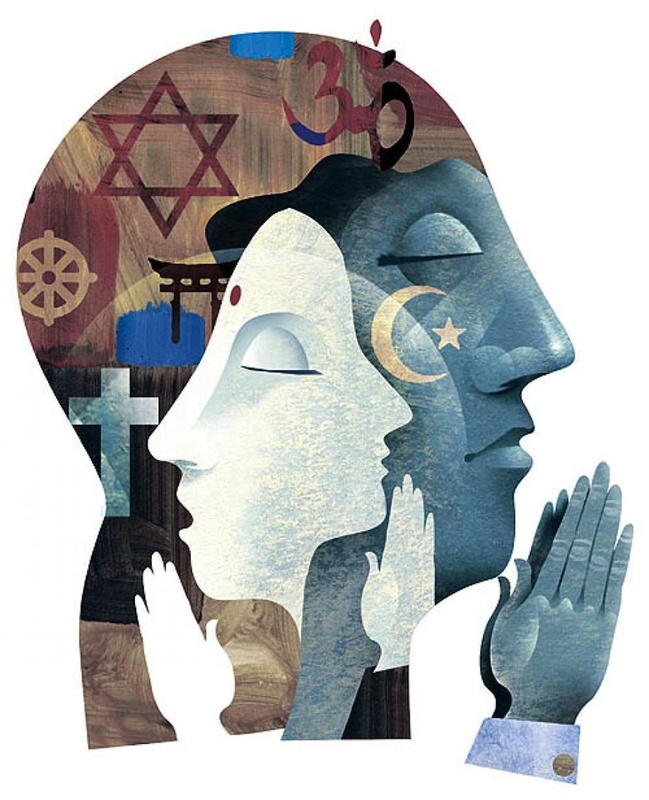 How important is your religious identity to you? The further three lectures on the topic of Mistaken Identity take the headings Country, Colour and Culture. It’s like a personality test – each member will have their own formula for how much the individual elements (belief, practice, community) make up their lived religious experience. “To have mastery of the scriptures is to know which passages to read into and which to read past.” I love this quote, but it is a hard skill to master and near impossible to teach. I like the 3 elements. It makes sense to me. I would say as I have repositioned myself at church, I have devalued belief greatly. Perhaps an over adjustment from feeling I valued belief too much…and found the “one true church” too exclusive and unable to meet my lofty expectations I thought was taught as a privileged temple mormon on a straight and narrow path amid the lone and dreary world. I can now see multiple interpretations and views in the scriptures, and what leaders preach over the pulpit. I am more open to various beliefs. And I think that is where I clash with some others in church, especially local leadership. I continue to value the community. I think it is where we practice our belief and faith. Just thinking about doctrine is insufficient. It is how I live it with others and learn from their viewpoints that help me practice love, the greatest of all virtues and commandments. The practice is what I have increased the most, as I devalued belief. Frankly…I don’t care if you believe the same as me, as long as we both do good things together. Serving, loving, teaching, listening. It is what we do that matters. I would much rather be with my muslim brother who goes about doing good, than my mormon ward member that I share belief with but is zealous or angry or pompous or lazy about his beliefs. Jesus taught the parable of the Good Samaritan for a reason. My fear, in my recent transitions, is that I let go of too many beliefs…and my conjunctive mormon faith is too focused on practice and I stop caring about what I believe, or forget to believe in anything at all related to a church. If I don’t keep the balance…I wonder…can I keep the desire to stay in a community that asks me to keep practicing specific things that I no longer believe in?? Balance is the key. While I figure it out…I find the practice is more important than the belief in my community. Thanks for that link to Andrew’s post Mary Ann. There’s some interesting overlap there. Yes, that quote was my favourite in the address. I do think community and practice are important and sometimes overlooked compared to beliefs. I think the tensions surrounding community are very different in different places. So where there is a high density of members your church community and local community where you live have a lot of overlap. Here in Britain that is so not the case, so that participation in church can take you away from your local community for large swathes of time, so that it can be very difficult to integrate and become involved in service locally, when moving to a new area. That’s my experience anyway. As an introvert there is only so much time I can stand being with other people before I have to take time alone to recover (extroverts may have an easier time of it). On the other hand, as an introvert, it does provide an immediate community. I do often wonder what it would be like to attend a local church integrated into the local community though. It feels like a lack to me. I think belief is overemphasized in today’s Mormon Church. I also think that certain kinds of practice are overemphasized at the expense of other practices. The practice of temple worship, for example, seems to be much more valued than the practice of going to help in a soup kitchen. The practice of partaking of the sacrament seems to be much more valued than the practice of volunteering for Habitat for Humanity. I actually think the emphasis the church puts on belief influences what practices are valued more than others. And I think beliefs tend to impact/form the church community more than practice. Nobody really cares if I ever do my home teaching, for example, or if I go to the temple (as long as I have a current recommend). But if I expressed a belief that the Book of Mormon is a 19th century work and not the record of ancient prophets, then I’d lose any and all standing among a community of true believers. It’s a shame, really, that we can’t have conversations about our beliefs based on mutual respect for alternate viewpoints, but IMHO, this church just isn’t built for meaningful discourse. It’s built both for those who like their lives dictated by the hierarchy/patriarchy and for those who value/feel comforted by being surrounded by people who believe pretty much exactly what they believe. Good point about different types of practice Brother Sky. I wish we could see how we treat eachother as part of practice more than we seem to as a community. We do seem to emphasise forms of worship – temple and now Sabbath observance, and participation in church programmes over outside service. And yes, your comments on belief all point to a rather unfortunate fundamentalist streak. Belief, practice, and community. What a wonderful essay. It was when an LDS community fails their members that the cards start tumbling down. Once community is gone, people will focus on faith and practice. Reading and study can quickly lead to questions that will bring about a more nuance and less literal faith. That change in faith can further the gap between the individual and the LDS community. Practice without full belief or a sense of community can leave someone feeling resentful and empty. With a sense of community, many people will stay involved without full faith or full practice. Take away the sense of community and for many, the religion fails in every other aspect. AmateurParent, good comment. I agree for a lot of people it could well be the community that holds them, and which if it fails causes them to examine everything else more closely, though I don’t think it’s true for everybody. There’s a large subsection that values belief I think, and would oust those who believe differently from the community, as mentioned by Brother Sky. I certainly agree that some practices require either belief or community to have any value, it’s a good point. At a very young age, I had trouble accepting much of what I heard in sunday school and church. It just made no sense to me, logically. I wrestled with this and rationalized things for most of my life. Then, as I matured, I decided that the only way I could really be a Christian was to completely let go. I decided to approach religion the way a child sees a magic trick. A child just looks on in wild-eyed wonder without stopping to analyze or rationalize. It’s just a gut-level, innocent reaction. That is how I experience religion. I have another story. Early in my marriage, I got an upset stomach. My wife wanted to fix it with “eastern medicine” which, to me, looked and smelled a lot like cheap green aftershave. I teased her about how I didn’t believe in that woo woo stuff, it was unscientific nonsense, etc. But, I’ll be danged, if rubbing that stuff on my stomach didn’t cure me in short order. I accept that now. It makes no sense within any scientific framework, but it works. Similarly, that’s how I now view attending church service. I go there every week, and every week I feel more peaceful and happy for the next six days. As long as it works, I keep doing it and accept the benefits with the grateful innocence of a child. I, personally, could not survive in the LDS church where both certain behaviors (wearing sacred clothing, not drinking coffee, etc.) and certain beliefs (authenticity of the BOM, the authority of leadership, etc.) are required and actually *checked* in an interview. I would be unable to sit there and lie about those things I didn’t agree with or that were not beneficial to me. I am sure others differ, but I find the literalness, physicality, earthliness, and administrative aspects of the Mormon faith to be a big drawback to having a pure religious experience. I suppose my identity as a Christian is the only identity I have found that works for me. anon, that’s a fascinating perspective. Thanks for sharing. I like that idea that religious identity is a personal thing. I’ve had Chinese Japanese medicines for stomach disorders before – but to swallow, not rub on… that seems very unusual.